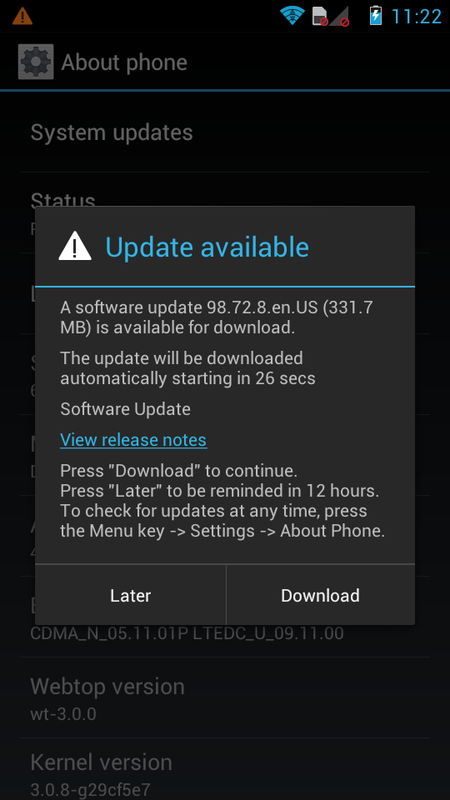 According to a number of readers with the original RAZR and RAZR MAXX, a massive update weighing in at 331MB and build number 98.72.8 is pushing out. There are no signs of an official update going out from any of the regular spots, so we aren’t sure if this is Jelly Bean, and someone at Motorola accidentally flipped the “Go!” switch or what. The build number starting with a 9 certainly resembles previous Jelly Bean updates on other Motorola phones. 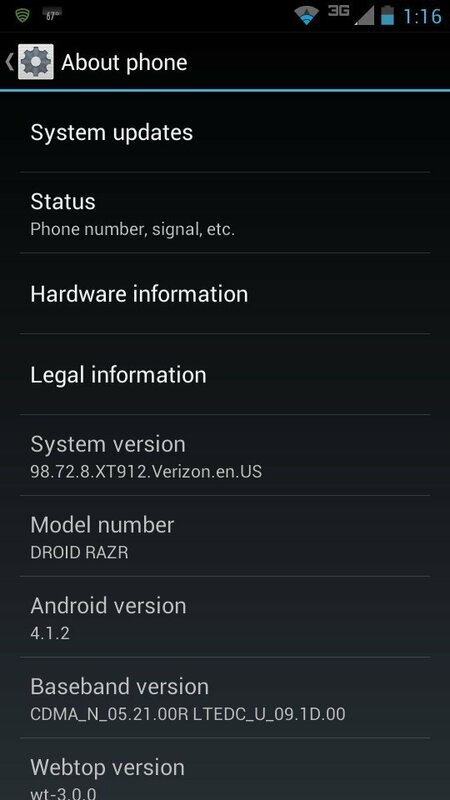 The RAZR HD’s update dropped in at 9.1.41. As we have more, we’ll update this post. Update 2: Readers Alan, Julianne, and whozat451 posted up this screenshot, matching the build number of 98.72.8, which also shows that it’s Jelly Bean (Android 4.1.2). Merry Xmas, DROID RAZR owners. Update 3: We should point out that we have yet to hear anything official from Verizon or Motorola. Someone either screwed up badly and made this available early, or we’ll hear all about it on Wednesday morning, when everyone returns to work. Update 4: The update may have been pulled. My download stopped midway through, as did many others’, saying that the “Download of update failed.” The phone is now showing as up-to-date. Assuming Moto and Verizon caught the early rollout and pulled from servers. Update 5: Here is a download link (via Shamo316) to the file for those that want to venture into the land of Jelly Bean. I should warn you that we do not know if this is a final build or not. It could be, but today’s update push also may have been a giant mistake. Proceed with caution. 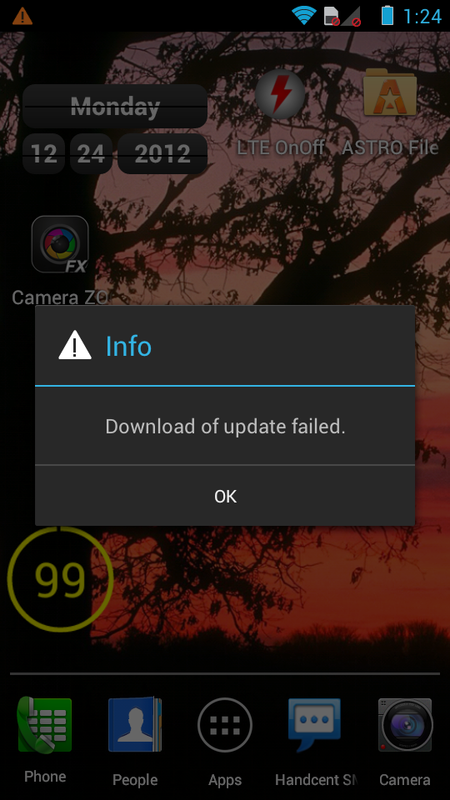 Drop on SD card (not internal storage), boot into recovery, select the file and update. Need to be on .211. When Android and exclamation show up, press both Volumes at the same time. Then “install update from external storage” and find the file. Cheers Bryan, Alex, @semcc9, John and @Daleinboro!